Small and middle powers like the Nordics depend on the economic, political, and societal shelter provided by larger states and international organizations to survive and prosper. This is what Professor Baldur Thorhallsson argues in his new book Small States and Shelter Theory: Iceland’s External Affairs (Routledge, 2018). In this seminar, Baldur Thorhallsson, Juha Jokela and Nina Græger will discuss what kind of security relationships Iceland, Finland and Norway seek with great powers – such as the United States and Russia. How do Nordic states position themselves in relation to the EU and NATO? And how do they deem the potential for more Nordic security cooperation? 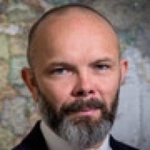 Baldur Thorhallsson is Professor at the Faculty of Political Science at the University of Iceland, and Research Director at the Centre for Small States at the University. He is also Jean Monnet Chair in European Studies. His research focuses primarily on small state studies, European integration and Iceland’s foreign policy. 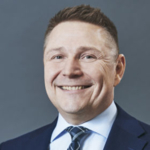 Juha Jokela is Programme Director of the European Union Research Programme at the Finnish Institute of International Affairs (FIIA). His current research areas include differentiated integration and Brexit, EU's foreign and security policy, and Finland's EU policy. 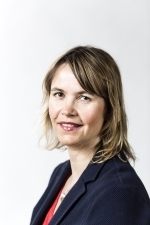 Nina Græger is Senior Research Fellow at NUPI in the Research group for global order and diplomacy. 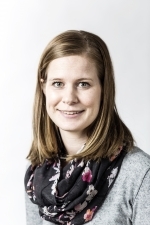 Her research interests include security practices, interorganizational relations, IR, European, Transatlantic and Norwegian security and defence, and military sociology. The seminar will be moderated by Senior Research Fellow and Head of the Research group for global order and diplomacy at NUPI, Kristin Haugevik, and it will be live streamed on NUPIs YouTube channel. The event is part of the project Nordic responses to Geopolitical challenges (GEONOR). Which tools to politicians in the Nordic countries have available to them in a more challenging geopolitical sphere?